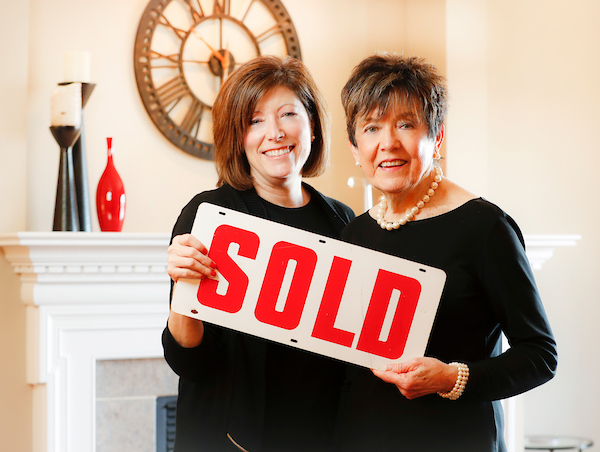 Pat and Leigh love working in real estate and have been business partners at RE/MAX Suburban since 2001. Their combined experience and exceptional communication skills have been critical to their success. Over 80% of their business is from past clients or personal referrals. They specialize in DuPage County with the majority of their transactions in 2013 coming from Downers Grove, Glen Ellyn and Wheaton. Pat joined RE/MAX after 10 years of working for a Wheaton law firm which included in depth experience with real estate closings. She enjoys meeting new people and goes above and beyond to help her clients. Pat is very easy to work with and is a fantastic negotiator. Those qualities have been critical to her continued success. Outside of Real Estate, Pat loves to cook for family and friends. She also enjoys reading and learning about new technology. Leigh joined RE/MAX Suburban in 2001 after a marketing/human resources career with Dun & Bradstreet Software and Electronic Data Systems. She really enjoys helping clients navigate the ever changing real estate market. She has an open, honest and respectful relationship with her clients and views her relationship with them as a partnership. She provides critical real estate insight in helping her clients make the best decision given their personal situation. Outside of Real Estate, Leigh likes spending time with family and friends. She also enjoys researching the latest real estate topics and working as a volunteer for the Life Raft Group.